The Ministry of Health of the Sultanate of Oman ønsker ledere innen helse fra hele verden velkommen til Muscat for den 43. verdenskongressen, 7.-9. November 2019. Temaet for kongressen er: People at the heart of health services in peace and crisis. Les mer her og meld inn ditt bidrag nå! 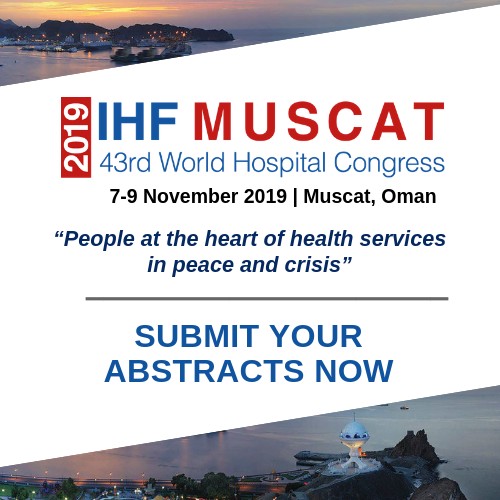 Submitting an abstract gives you the chance to showcase your work and achievements to the international healthcare community. Successful abstract authors will also be considered for publication in the IHF Journal and present in an IHF Webinar.